Personal Injury. Medical Malpractice. Period. Why Choose The Law Offices of Andres & Berger, P.C. to Handle Your NJ Personal Injury or Medical Malpractice Case? Lawyers throughout New Jersey refer their major cases, as well as their family and friends, to The Law Offices of Andres & Berger, P.C. 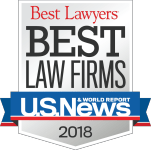 Selected by our peers and clients as top lawyers in NJ, we have helped thousands of injured victims recover the money they need to pay their medical bills, support their families, and get compensated for their injuries. 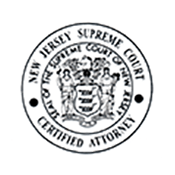 Attorneys Berger, Andres, and Gibney are among the fewer than two percent of NJ attorneys certified by the Supreme Court of New Jersey as Civil Trial Attorneys. 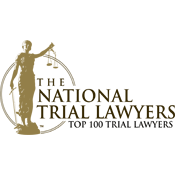 This is a designation granted to attorneys who are able to demonstrate sufficient levels of experience, education, knowledge, and skill in civil trial practice. Attorneys Andres, Berger, and Gibney each served as president of the New Jersey Association for Justice-NJAJ. 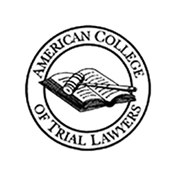 Berger and Andres are fellows of the American College of Trial Lawyers and have been selected to serve on New Jersey Supreme Court Committees for Ethics, Civil Practice, and Model Civil Jury Charges. Andres and Berger are adjunct professors of law at Drexel University Law School, where they teach trial advocacy. Choose the experience of our personal injury and medical malpractice attorneys at The Law Offices of Andres & Berger, P.C.. If you or someone close to you has been injured in an accident in Camden County, Gloucester County, Burlington County, or anywhere else in New Jersey, call our firm today for a free consultation about your case. 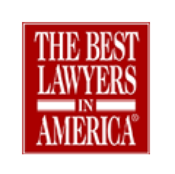 The top-rated trial attorneys at our boutique firm, Kenneth G. Andres, Jr., Michael S. Berger, Tommie Ann Gibney, and Abraham Tran, fight tirelessly for injured clients. The Law Offices of Andres & Berger, P.C. is located in Haddonfield, NJ, but we have become the go-to legal resource for clients all over New Jersey. 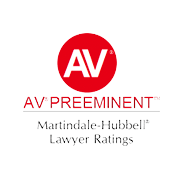 Colleagues and clients and, most importantly, insurance companies recognize our tenacity and commitment to each and every injury case we pursue. Our Camden County injury law firm includes not only high quality lawyers, but also experienced paralegals, nurses, and support staff who provide valuable assistance in your case preparation. 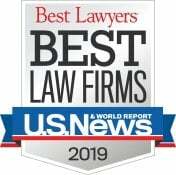 We consult with the most highly regarded and qualified experts in both personal injury cases and medical malpractice lawsuits, including forensic investigators, orthopedists, psychiatrists, other specialized physicians, accident reconstruction consultants, safety engineers, vocational and economic specialists, and others. We will carefully prepare your lawsuit for trial. We interview all witnesses, examine all evidence, and scrutinize all medical and accident reports to make sure that we have a winning case. Next, we negotiate skillfully in an effort to reach a settlement on your behalf. When that’s not possible, we are ready for battle and we’ll fight tirelessly for you and your family in a court of law in Cherry Hill, Voorhees, Marlton, and throughout Camden County. Call our law firm directly or fill out our online form now. We offer a free consultation with no obligation.